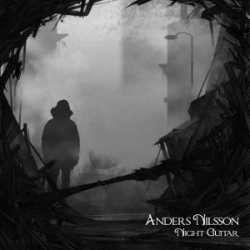 Guitarist Anders Nilsson’s new solo album is Night Guitar (2012). In this interview, Nilsson talks about the influence of Frank Zappa, Deep Purple and others on his guitar playing; why he felt inspired to make a solo record; how he created a multi-layered guitar album that still allows for the element of surprise; and the busy year ahead. Learn more at andersnilssonguitar.com.